This is a simple Game to learn english and russian words easily. 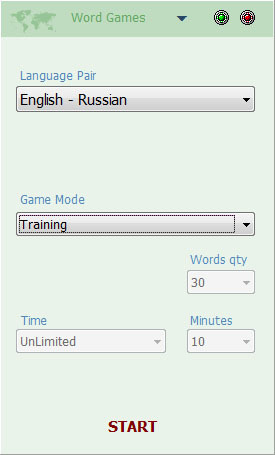 Features Â· English and russian dictionaries with ~3000 words each Â· 3 work modes including training, game, dictionary Â· Time limited or unlimited Â· Possibility to search words in dictionary mode. This site does not contain serial number, crack, keygen Easy Words serial number : serial number is the simplest type of crack. A serial number(cdkey,product key,etc) is register the program as you may already know. a crack or keygen may contain harmful software. If you cannot find the exact version you want, just give it a try. for more information read .nfo/.txt/.diz file include in zipped file.